Tidewater condo for sale in Orange Beach Alabama. 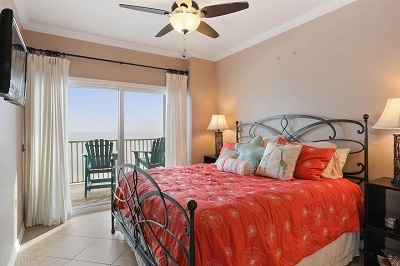 3BR3BA east corner unit, top (12) floor with views of the Gulf of Mexico from the living area and master bedroom! North balcony has views of Cotton Bayou. This 3 bedroom, 3 bath unit has been completely renovated. New custom cabinets in kitchen and baths,new appliances, granite, flooring, light fixtures, new paint and much more. This unit INCLUDES a deeded, covered parking space ($10-15,000 when sold separately). Electronic hurricane shutters on the south sliding doors. This unit has not been in the rental program, but similar units rental income are $35,000+. Tidewater has an outdoor Gulf-front pool, indoor heated pool, covered entry, hot tub/spa, a fitness room, grill area, coded gate, and great views of the Gulf of Mexico and Cotton Bayou.